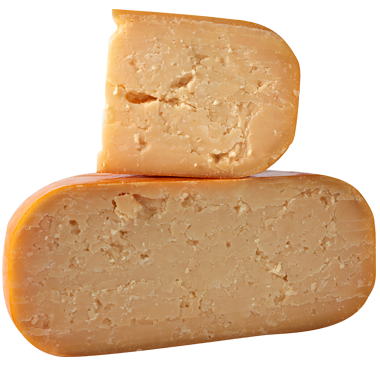 Many of Cedar Grove Cheese’s wheels and blocks are named after Shakespearean characters, thanks to the company’s proximity to American Players Theater in Spring Green, Wisconsin. This is certainly true of Montague, a surprisingly mild, washed-rind mixed-milk cheese. Its name comes from Romeo Montague in Shakespeare’s star-crossed tragedy, Romeo and Juliet. Luckily for us, this cheese has a much brighter(and happier) future than its namesake. It took home a first-place ribbon at the American Cheese Society Competition in 2017. Our only question: Wherefore art thou, Montague, you most divine and inspired creation?